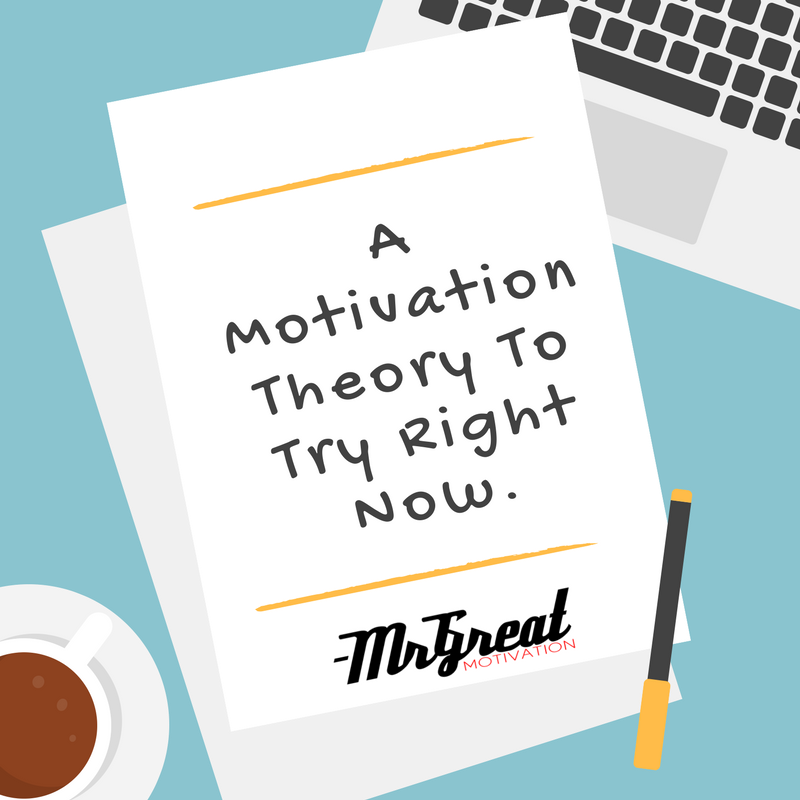 A good motivation theory has to recognize the fact that we each get motivated differently. In the practice of neuro-linguistic programming or "NLP" this is taken into account in many ways. One of the more useful NLP theories is the concept of "away from" and "towards" personalities. 1. You are safe and secure. You never have to return to your job or do anything you don't want to do. You have the means to eliminate most of your problems easily. You have everything you need to be free and comfortable. 2. You have the house of your dreams, and your favourite car too. You buy anything you want for you and your friends, and you do what you want. You have the means to achieve any of your goals. If the first description is more compelling to you, you primarily have an "away from" personality. If you feel more motivated by the second description, you have a "towards" personality. There are good and bad points to both types. "Towards" individuals make good entrepreneurs, for example, but often get into trouble because they don't plan well enough to avoid problems. "Away-from" individuals manage things well and avoid problems, but don't do as well at big goals. So how do you use this motivation theory and this knowledge about yourself to your best advantage? Suppose you want to make more money and you are "towards" person. You would want to envision the things you'll buy and do with that money, but also be aware that you may be glossing over the problems. If you are an "away from" person, you'll need to continually remind yourself what a mess it will be if you fail. Otherwise, you'll lose your motivation once you reach some level of comfort. You can play with this theory, and practice using this knowledge to influence others, but don't forget to influence yourself. While it is useful for understanding and influencing others, this is a motivation theory that is best used to affect your own self-improvement.